FFA - Did Fatima Abdallah really cause her own death by repeatedly striking her face against a coffee table or was it an honor killing. Please encourage Governor Rick Scott to investigate. The Tampa Police Department has accepted a Palestinian family’s account that Fatimah Abdallah killed herself by repeatedly beating her head against a coffee table. However, a Tampa Rescue Lieutenant at the scene told Florida Family Association's private investigator that was implausible, that "she looked like somebody beat the blank out of her." The Palestinian family left Fatima dead for 2 ½ hours before they called 911, gave two different stories of how she died, ushered the alleged only witness to Fatima's demise out of the country just days after her death and treated her horribly before she died. The Florida Attorney General recommended the following: “If you are requesting an outside investigation of local officials, please contact the Governor's Office. The Governor has the power to appoint what is known as a special prosecutor to investigate criminal allegations outside a state attorney's normal circuit when there are concerns about possible conflicts of interest. 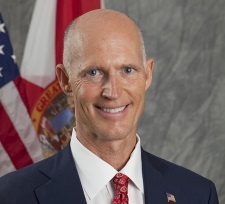 The Governor may also direct the Florida Department of Law Enforcement (FDLE) to perform special investigations and investigations on public officials and agencies.” Click here to read the AG’s email with this recommendation. GO15 states “Caused by Undetermined." Detective Durkin. The Tampa Tribune reported on May 20, 2011 that Laura Hair, of the Hillsborough County Medical Examiner's Department said, "To me the evidence goes into it being an accident where she fell and possibly had a seizure," Hair said. "I'm not seeing evidence of a beating."